The first ever Final Design Review (FDR) for the ITER Electron Cyclotron (EC) system has been completed and paves the way for the start of manufacturing of the EU contribution to the EC power supplies, the first of the EC subsystems to be installed in the ITER buildings. The EC system, one of ITER’s heating systems, will heat the plasma to reach 150 million degrees Celsius by transferring the energy from electromagnetic waves into the plasma electrons. The EC power supplies have the function of converting the electricity from the grid to regulated direct current and voltage at 55kV nominal that the ITER gyrotrons will need to generate the electromagnetic waves. F4E is in charge of procuring eight sets of ITER EC power supplies with a total rated power of 48MW. Another four sets will be supplied by the Indian Domestic Agency (INDA) and ITER International Organization (ITER IO). This concluding of the FDR comes after last year’s signing of the contract with Ampegon to design, manufacture, install and commission the power supplies for the Electron Cyclotron system. 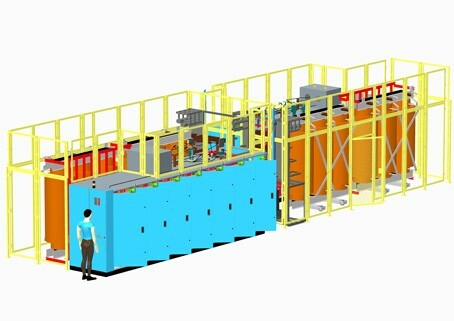 While many of the components to be delivered by F4E are based on final designs provided by ITER IO, in some cases, such as with the Electron Cyclotron System for which ITER IO provides the functional requirements, F4E is responsible for the design and therefore also for conducting the FDR. The FDR is held in order to identify, solve and finalise any outstanding issues on the EC power supplies and check that the design solution meets the ITER requirements. It marks the final stage before the manufacturing of components begins and is an important milestone for the F4E and ITER schedule. The FDR meeting was led by an official review panel, appointed by F4E and chaired by Michel Huart, former Head of Power Supplies Division in JET. It included international technical experts as well as F4E and ITER International Organisation representatives in areas such as safety, control, Quality Assurance, electrical systems, gyrotrons, cooling and buildings. Representatives from the F4E supplier, Ampegon, relevant F4E and ITER IO staff, as well as Russian and European gyrotron developers also attended. Presentations and discussions focused on checking all aspects of the design and integration with ITER. No major issues were identified during the FDR meeting and it is expected that all open questions will be clarified in the following weeks, thus enabling the process to be formally closed by F4E and ITER IO before the end of the year, ahead of the schedule. 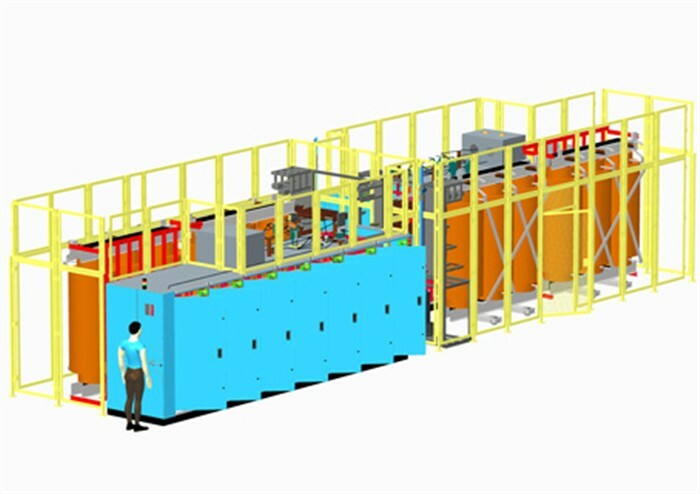 The manufacturing of the first set of the EC power supply systems to be manufactured for ITER will start in 2015. The delivery and installation of the first set is planned to take place in 2016/2017.